It’s the last day of school! The last day is always exciting but this year, more than any other, it feels like a huge accomplishment. These poor kids started the school year on February 2, 2015. 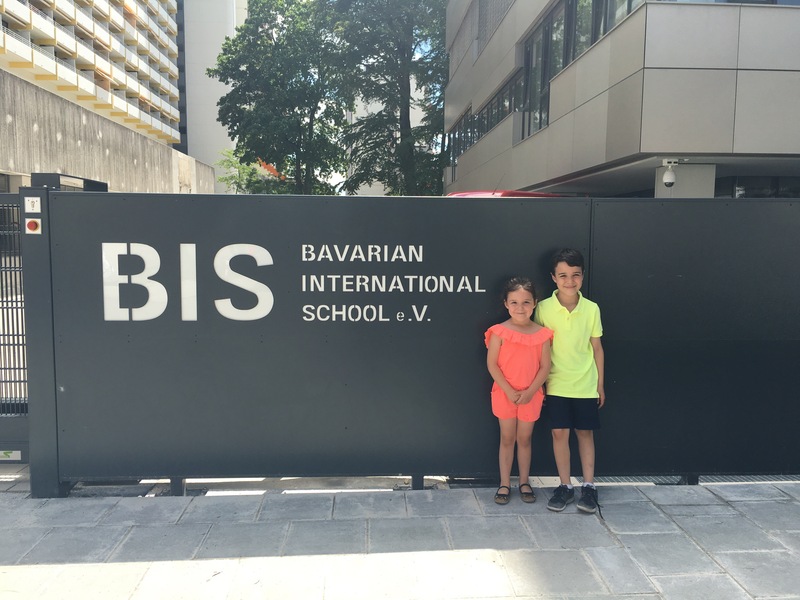 They completed all but a few weeks of the school year Sydney then moved straight into the next year here in Munich. In the last 17 months they have each gone to two school and finished two grade levels. It has been intense to say the least. It has been easy to lose sight of how much we have asked of them over the last year and half but as they finish their last day it has made me reflect on how much they have changed. Ella started her first year of preschool at a lovely local centre only attending two days a week with a play based structure that focused more on learning social skills through play and less on any formal lessons. Now she is finishing EC1 here where she has attended five full days a week and gone through multiple units of inquiry learning about everything from the five senses to how living things grow. She still has a lot of play time but the move from two low key days of playing to five full days of learning is crazy to think about. Kellen started kindergarten not knowing how to read, never having done maths, and while he could write his name he couldn’t write much else. He is finishing grade 1 reading short chapter books, starting on his cursive, and working on fractions. Patrick has completed two years of high school. He was in a very laid back public high school in Sydney and had to step into grade 11 in an intense IB program. It has been a lot. Luckily for us all three have thrived over the last year and a half. It’s amazing to think of how much each of them has learned and changed. But everyone is tired, including me. The last two weeks in particular have been a blur of end of year events and trying to just push through the final days. It’s finally here, the last day of school! This summer is going to be a little different. Germany is still a country where most people take a month off and leave the city over the summer. That in combination with being in a community of expats where most people are traveling ‘home’ for the summer means that we really are saying goodbye to most of our friends until next school year. We have two trips planned which should be a lot of fun but during the time in between we have no obligations. Hopefully we can meet up with people here and there but it is not going to be an over scheduled summer of playdates and I am so thankful for it. This summer is going to be focused on letting the kids completely decompress. Patrick will be in Seattle, which will be different since he’s never been away that long. Jamie will be traveling for work much of the time so it will be the littles and I having adventures or doing nothing at all. That is going to suit us perfectly this year. So happy last day of school!